At Office Removals London, we pride ourselves on the quality of service we’re able to offer our clients and the one-to-one approach we take. Regardless of the scope or scale of your moving requirements, we’ll be able to help you get the job done quickly, cleanly, and reliably. One call to Office Removals London is all it takes to make moving a breeze. When you work with Office Removals London, you’re placed firmly in control. We’ll discuss with you your requirements in depth before any work is undertaken, to ensure that you’re always confident about the next step. It’s this conscientious approach to customer satisfaction that keeps our clients coming back to us. We have a great deal of experience in undertaking a variety of professional office removal work. This involves offices of all sizes. Our friendly, helpful team has both the experience and the drive to do a job well done that ensures the kind of reliable service you deserve. We’ve worked with clients all over London to help make sure their office removal goes as smoothly as possible – it’s something we’re not ashamed to say we excel at. Whether you’re moving into or out of an office space, you want the job done right. At Office Removals London we’re capable of making a difficult job pass with the greatest of ease. We provide a stress-free service, that allows you to focus on the more important things. We’ll keep you informed at every stage of the process, from start to finish. We’re professional movers who work cleanly and quickly – transforming even the most cluttered office spaces in just a matter of hours. Our extensive experience allows us to creatively solve any problems that may arise. The service we provide our clients is totally tailored to their needs. 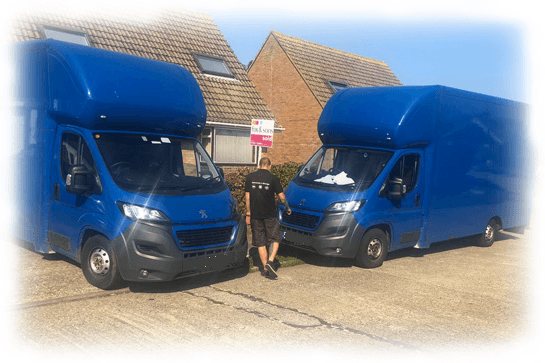 Whether you just need one person to help you move a few items or a full-scale team, Office Removals London are the only people you need to call. We stand by our reputation for excellent quality customer service combined with affordability and efficiency. The only way for you to truly experience it though is to try us for yourself. Our friendly and helpful staff are always on hand to answer questions you may about the moving process, or how we can help you. So don’t hesitate to call us today. You can reach us on 020 3808 4302.